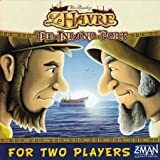 Le Havre is a economic city development board game where the players are attempting to acquire and refine goods to ship off. The game takes place in the harbour of Le Havre, a French city. Each turn, goods are first added to various offer spaces. The goods are used either to feed the community, to construct buildings and ships or to be processed in one of the 33 buildings. Here, the goods are upgraded into finished products which players can sell. There are 5 types of buildings: craftsman's buildings, economic buildings, industrial buildings, public buildings and non-buildings. They are all a good investment and a revenue stream, but ships provide necessary food that is needed to feed the workers. Wood, clay and iron are building resources while fish, grain and cattle are used as food. The game is played for a set number of rounds and at the end, the player with the greatest net wealth is the winner. There are 33 Standard buildings. Depending on the number of players, not all buildings are used. The 33 Standard buildings include 9 Craftsman's buildings, 6 Economic buildings, 10 Industrial buildings, 4 Public buildings and 4 Non-buildings. There are a total of 6 Fishermen and 8 Hammers on the buildings. (C, Sort order 09, Value 8, Entry fee: 2 Francs, Building material: 1 wood, 1 clay and 1 iron). Building is always a Main action, and requires building resources. It is taken in a Construction building such as the Construction Firm or one of the Building Firms. Buying is always an Additional action and requires money. 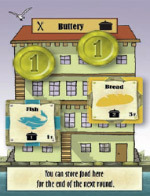 Money (identified by the coin symbol) is used to buy buildings and ships, to repay loans, as a substitute for food and, last but not least, to win the game. The currency is called Francs. The "Francs" Offer space supplies Francs. In the Joinery, 1-3 wood can be sold for 5-7 Francs. Subsidies (½ Franc per good) are paid in the Smokehouse, Bakery and Brickworks, as well as in the Tannery and Cokery (1 Franc per good). 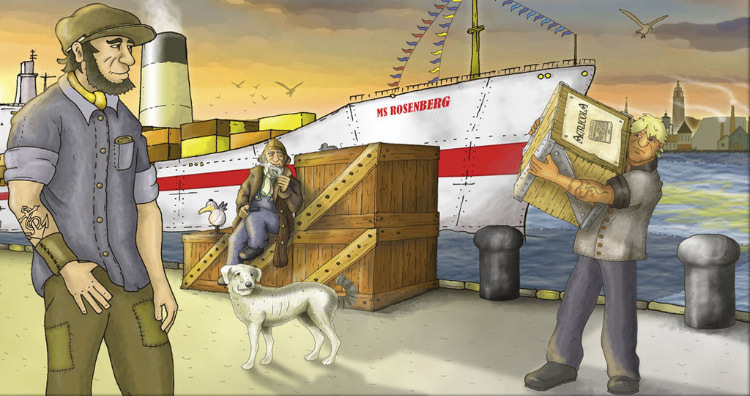 The Shipping Line allows players to ship goods - the quantity depends on the ships that the player owns. Goods can be sold using the Bridge over the Seine (only recommended towards the end of the game). The Zoo and Plant Nursery Special buildings supply money; goods can be sold in a further 15 of the 36 Special buildings. 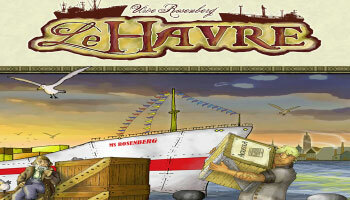 Buildings and Ships can be sold for half their value at any time.